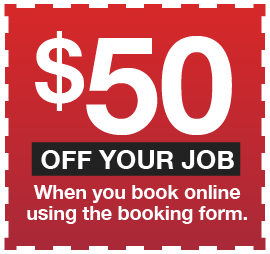 Do you need electrical work done and live in Homebush? Staywired Electrical Homebush is your number one choice for qualified, friendly and professional Electricians. We put our customers’ needs first and with more than 20 years’ experience in the Sydney and Homebush area, you can be sure that you will receive second to none service. Our team of Homebush electrical contractors are able to offer advice and service to the commercial and residential markets in a variety of electrical applications. With our local Homebush Electricians, you’ll save time by not needing to wait for a Sydney Electrician to arrive at your home or business. Staywired Electrical only employs qualified electricians so rather than attempting to fix any electrical problem yourself which is not recommended, you’ll be secure in knowing that our Homebush Electricians will guarantee on-time service, friendly, qualified and fully insured staff and clean-up of the work location on completion of the job. Our Homebush Electricians are always fully stocked with a wide range of high quality components which will ensure your job is completed correctly and on time. Late at night or public holiday electrical emergency in Homebush? It’s always happens at the worst time – the power goes out, you find exposed wires or experience damage from a weather event and you need an Electrician on a weekend or public holiday. No need to worry – call the Staywired Electrical 24-hour electrical helpline on 1300 643 815 and one of our Homebush emergency Electricians will be out to fix your electrical problem in next to no time. We will have your home or business up and running in the shortest time possible. Staywired Electrical specialise in residential and commercial electrical work and can assist with the complete range of electrical work from installation of lighting, electrical maintenance and repairs, exit and emergency lights and much, much more. Our Homebush Electrician team offer a wide variety of services from lighting and power point installation to safety services including smoke alarm installation and testing, safety switches, surge protectors, sensor and security lighting. We are also able to assist you with home electrical upgrades or renovations and can assist you with pool and garden lighting, home automation, installation of hot water systems and bathroom heating, exhaust fans, switchboard upgrades and data or phone cabling.